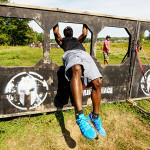 The obstacles of the Spartan races go according to the distance and requirement of the test, where greater distance, increase in quantity and difficulty. Some instill fear in the hearts of many participants who struggle and strive during the journey, for others, just entertainment, depending on how you take it. 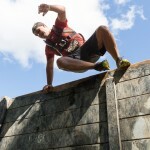 Race after race, our obstacles continue to surprise even the most experienced racers. 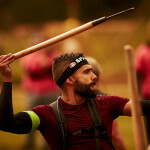 For example, runners love to hate the spear throw. How many times have you seen people fail in this obstacle, while for others it seemed to be something very easy that did not require effort? 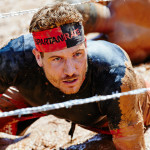 You will have to face many obstacles on your way to Spartan victory, and this is where we will begin to introduce you to some of our characteristic obstacles, and to explain to you what you can do to overcome them. The instructions given verbally by the race director before the race, those given verbally in a particular obstacle or specific instructions for a particular event that are given in writing take precedence over the rules that appear below. 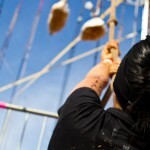 In certain events, some obstacles could be modified to pose a greater challenge or present variations in the correct execution. The instructions given in each obstacle must be followed. It is very common for an obstacle to have instructions modified for various environmental, logistical or creative reasons. 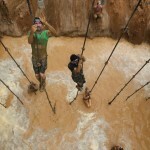 Obstacles may have a Burpees area or burpees area. Athletes are required to complete their penalty burpees in the designated area or area because the burpees are monitored by tour officials and / or video cameras. Tour officials will review the videos to make sure they are done properly and ensure that athletes have completed their penalty burpees. The burpees zones exist for security reasons and to allow the athletes to make the journey in a fluid way. Blocking the progress of another athlete by making penalty burpees in the path of an athlete is considered an unsportsmanlike conduct. The review and verification of the camera can change the result of the race, and the results are not final until the camera is reviewed and the field officers have approved the results and analyzed the penalties. A burpee is made up of two different components. In the "lower part" of the burpee, the body and legs are placed straight and parallel to the floor, with a complete flexion of arms in which the chest touches the ground. In the "upper part" of the burpee, the body and legs are placed straight and perpendicular to the ground, with the hands placed above the ears, and a jump is struck in which the feet rise from the ground.